Congratulations are in order for former SA cricketer Jonty Rhodes and his wife, Melanie Jeanee, who have welcomed a baby girl into the world! Congratulations are in order for former SA cricketer Jonty Rhodes and his wife, Melanie Jeanee, who welcomed a baby girl into the world yesterday! Jonty and Melanie named their daughter India Jeanne Jonty Rhodes. "The baby girl, born by natural water birth, at 3.29 pm weighs 3.71 kg. The couple are extremely overwhelmed and thrilled about the new addition to the family," said Dr Bhupendra Avasthi of Surya Mother and Child Care hospital said, The Times of India reports. 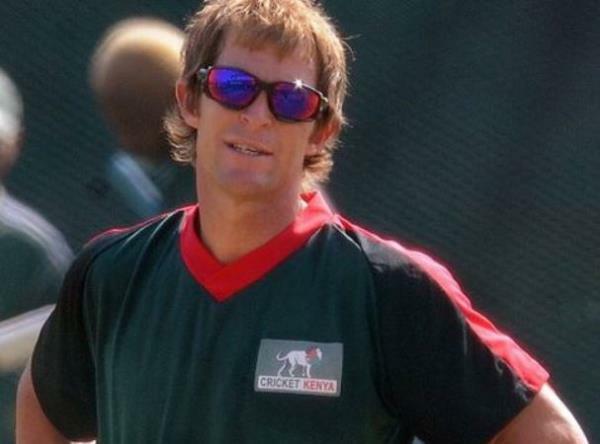 Jonty is currently the Indian Premier League's (IPL) Delhi Daredevils' fielding coach.